WELCOME TO SANDY HOOK,KENTUCKY. 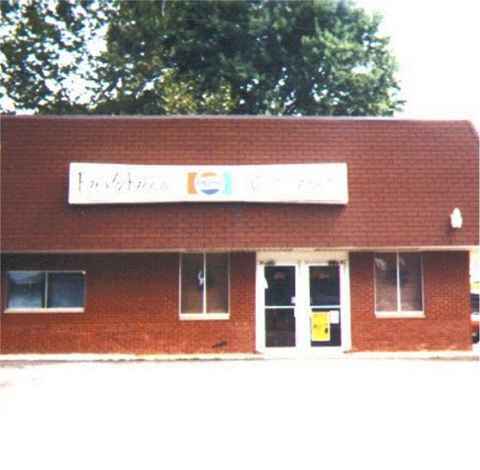 THE HOME OF KEITH WHITLEY. Thank you for visiting the Home of Keith Whitley. Keith loved his hometown so much, and I am sure that he would be so proud of you wanting to visit. Hope that you enjoy the pictures, and come back to see new additions. Sandy Hook means alot to me as well. I call it my 2nd home, and I sincerely mean that. Hope you enjoy your visit. 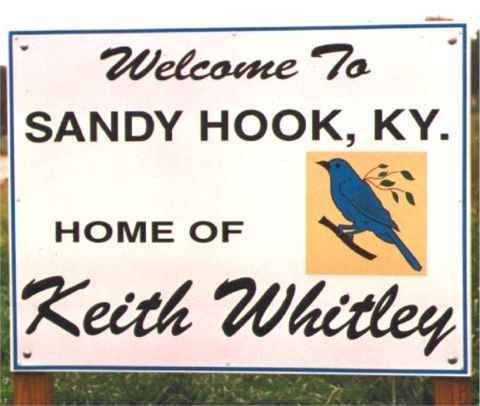 (left picture) This is the sign you see as you enter the great town of Sandy Hook, Kentucky. Welcome to The Frosty Freeze! The Frosty Freeze is the meeting place (hang-out) of Sandy Hook. Keith loved eating there when he was home, and always sat at the long table (just in case you ever go to visit). The Frosty Freeze serves everything from my favorite all-time cheeseburgers to their GREAT ice cream. They also have many pictures of Keith including a special 2 dollar bill (that I designed) with Keiths picture in it to commemmorate the 2nd annual exhibit. If you ever visit Sandy Hook, the FROSTY FREEZE is A MUST!!! The Home of FAYE WHITLEY (where KEITH was raised). Faye Whitley receives many visitors every year who want to stop by and say hello and tell her how much that her son meant to them. 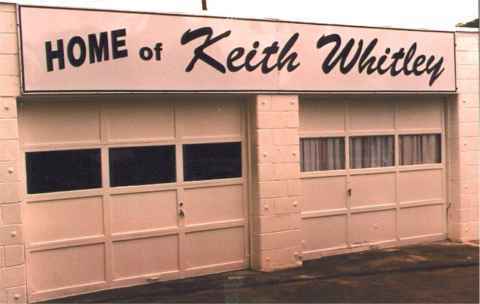 The picture below shows the garage (formerly The Keith Whitley Museum) that clearly indicates THE Home of Keith Whitley Faye is current;y no longer giving tours of the museum since the merchandise was sold to MR. Richard Snowden. KEITH WHITLEY BLVD. The street that Sandy Hook named after their favorite son, Keith Whitley of course!